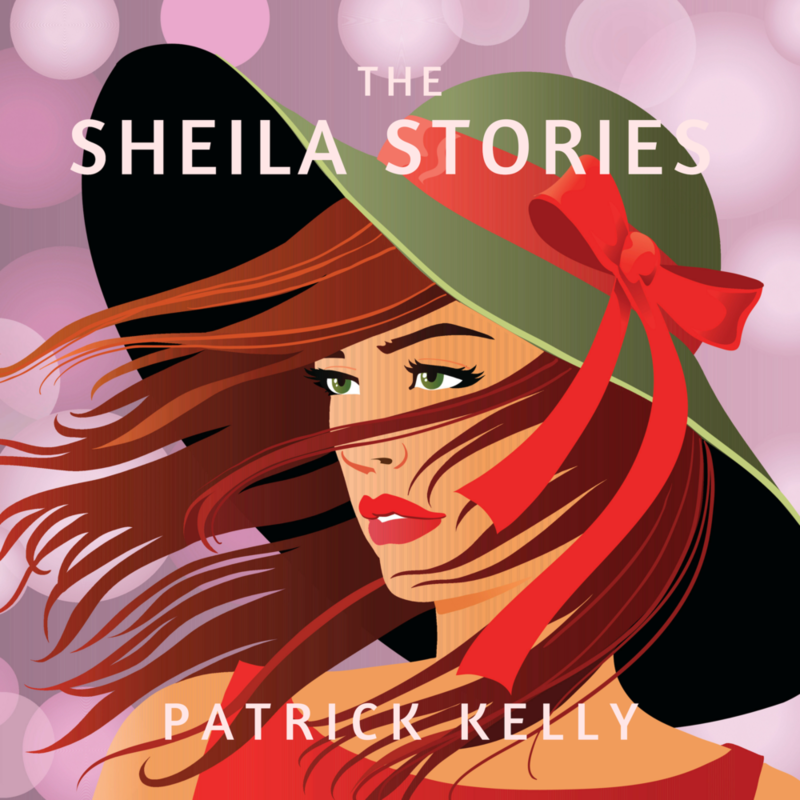 In episode #1, Thomas Kelly the Fourth, a widower, endeavors to create a strong female role model for his daughters Natalie and April by telling them the Sheila Stories. In the first story, Sheila Wright, at the age of eighteen, travels from her home in Sydney to Toowoomba, Queensland, with the intention of buying a sheep farm. Here is the manuscript for episode #1. To listen to the episode with commentary, click the THE SHEILA STORIES tab. Two years ago, I spent several months working on a project in Philadelphia. My father grew up in South Philly, and I have distant relatives who still live in the area. During the assignment, I spent a fair amount of time with my second cousin, Thomas Kelly the Fourth, and his family. They live in a house thirty miles north of the city. Thomas began to relate these stories one night after dinner while we sat on his front porch and watched the sun set into the hardwoods. Drawn into the stories, I stayed long after a polite guest would have bid his host goodnight. I kept urging him to tell me one more. We finished the stories over a holiday weekend at their beach cottage in Brigantine, New Jersey. With Thomas’s permission, I’ve recreated the stories and the context in which he first told them for all to enjoy. My wife, Julie, died of cancer when the girls were very young. Natalie remembers walking the neighborhood as a toddler while Julie pushed April in a stroller. Julie stopped to chat with a neighbor, and Natalie made friends with the neighbor’s dog. April recalls only the sound of Julie’s voice and the tune of a nursery song. We live in an old house on the bank of the Delaware River. The river is the width of two football fields and moves swiftly past on its way to Philadelphia and the Delaware Bay. Once in a while, when I’m too tired to work any more, I sit on a bench that overlooks the river. Some widowers mourn for only a year or two before they find new wives, but not me. Julie lives on in my life. I keep a picture from our honeymoon on the bedside table. She’s sitting at a beachside café in a bikini top and a straw hat. Sandy blond hair peeks out from the hat, and she’s laughing at me for taking the picture. On some mornings, before getting out of bed, I talk to her. I’m not crazy—she doesn’t answer me. I tell her what’s happening from day to day. April has made a new friend. Natalie mentions boys now and then. I teach third grade at Bosworth Elementary. In the morning, we drive to school in the SUV; the girls sit safely buckled in the back seat, chatting constantly. The routine works well. April is in second grade, and Natalie is in fourth. I do my best to fill the gaps for them, to give them a chance to be girls, but sometimes I think it would be nice to have a woman around, not for me, but for them, Natalie and April, a woman they could learn from and admire. I guess that’s why I start telling them the stories. It has grown harder to get the girls ready for bed. They fabricate last-minute tasks and complain about each other: April didn’t flush the potty. Natalie stole my brush. And then one night a solution comes to me: the Sheila stories. I hurry the girls along, eager to begin, my heart picking up speed. By the time they are finally ready, with their teeth clean, faces washed, and nestled in their twin beds, it’s nine fifteen, past the deadline for lights out. “I have a surprise for you,” I say. “What is it?” asks April. She sits with her back against the headboard, her hair not quite touching her shoulders. Her fingers play with the ears of a stuffed Dalmatian named Spot. Suddenly, I get cold feet. Can I remember the stories? Will I get them in the right order? It’s not too late to turn back. But then I recall Julie’s spirit. She never flinched at a challenge. She was always ready for something new. I begin in Queensland, Australia. Sheila Wright boarded the train from Brisbane to Toowoomba and took a seat by the window. The railcar had eight rows of four seats each and was nearly full. Outside, the city buildings gave way to homes and little shops, and then fields and trees. Excitement kept her eyes glued to the window. What had she done? Traded a safe but boring life at home for adventure in Queensland. Yes, and she would make the same trade again. She’d never cared much for boredom. Though nervous about her uncertain future, she was not scared. If her plan failed, she could always return to Sydney. In 1935, a woman of Sheila’s young age, eighteen, did not leave a safe home and embark on a journey with the intention of buying a sheep farm. She had always craved excitement swimming and sailing in the waters around Sydney Harbor. She’d even tried the new sport of surfing and found it exhilarating. Still, this was a more serious adventure, and she might never have undertaken it, but she had come into some money and then she’d seen the advertisement in the newspaper. So two days earlier, her mother had accompanied Sheila to the central train station in Sydney. Her father had given her a stiff hug on the front porch of their home, but he was still upset and did not come to the station. Neither did her brother Tim. They both considered her plan rash and a waste of money. Of course, her father had opposed the idea of her pursuing further education until she decided to buy a sheep farm. How interesting. The train had taken eighteen hours to reach Brisbane. Once there, she had booked a hotel for a night’s rest and continued her journey the next morning. The train stopped on the outskirts of Brisbane to pick up more passengers. A plump, short man dressed in a suit and a bowler hat sat next to her. He had a gray mustache and cheerful blue eyes. He raised his eyebrows, perhaps surprised such a young woman would have any sort of business to attend. He brushed his mustache with his fingers. “I’m Sheila Wright,” she extended her hand for him to shake as she’d seen her father do many times when he met someone new. “Frank Yates,” said the man. He shook her hand lightly. The train’s wheels engaged, which jerked the car forward, and they pulled from the station. She should learn what she could from Frank Yates, for the farm she planned to buy was not far from Toowoomba. She asked Frank Yates many questions about Toowoomba and the surrounding area. She asked about the farming business, about how products got to market, and about standard practices for the buying of commercial goods. She asked about the people, the schools, and the size of the town. They ran out of things to say, and Mr. Yates read his newspaper. The train passed through forests of eucalyptus trees, not unlike those around Sydney. Soon the gentle rocking and the clacking of the wheels on the track lulled her to sleep. At the Toowoomba station, she said goodbye to Frank Yates and arranged for a porter to transport her trunk. Then she walked the few blocks to the Hotel Victoria on Margaret Street, where she had booked three nights’ stay. She figured she would either own a farm in three days or be headed back to Sydney. The town was hillier than she imagined, and greener too. She had an hour before her appointment, so she strolled to Queens Park and the Botanic Gardens. The sounds of city traffic receded in the park, and she enjoyed walking through the late summer flowerbeds. Birds sang from the nearby trees. So far, Queensland suited her just fine. She returned to the hotel five minutes early for her two o’clock appointment with Mr. R. Sloan, the seller who had placed the advertisement in the Sydney paper. A dirty flatbed truck sat parked outside the hotel. A tall aborigine dressed in gray overalls and a brown hat leaned against the truck. He had strong shoulders and forearms. She would have to get used to seeing aborigines, for her research had indicated they performed much of the farm labor in Queensland. She looked at his face until she caught his eye. He startled when she spoke and said nothing in return, but he nodded slowly in recognition of her greeting. Inside, a smartly dressed man sat in a lobby chair with his legs crossed. He was handsome, with a brown mustache and a strong face. A wide-brimmed hat rested on the couch beside him. “Are you Mr. Sloan?” she said. “I’m Sheila Wright.” She thrust her hand out for him to shake. “You are?” He squeezed his eyes shut, then glanced left and right, as if he might find an explanation standing in the wings. Sloan went through the process. She would sign the paper—which he handed her without fanfare—and arrange for the transfer of two thousand pounds into his account at the Toowoomba Bank across the street. Upon conclusion of their business, she would become the lucky owner of a sheep farm in Darling Downs. He offered her a pen. Did he mean for her to sign the paper now? She took the pen. A line for her signature rested at the bottom of the page. It was simple, a quick signature and a transfer of funds, and she’d become a landowner. She closed her eyes a moment and imagined a creek running between green hills dotted with sheep. She almost signed. But what if she didn’t like the land? What if there was no creek? What if the hills were brown? She read the paper slowly. For two thousand pounds, she would receive all EQUITY. That plus other CONSIDERATION, defined in the ADDENDUM, gave her full STANDARD OWNERSHIP rights. She rested the pen on the table. He glanced at the pen on the table, but she didn’t pick it up. “It’s the best farm I own,” he said. Apparently, he owned other farms and made his living in that fashion, but if so, why would he sell the best farm to her? His hand had felt soft, and his fingernails were clean. He pursed his lips. For a moment, she feared he might tell her to get lost, but then his face relaxed. “Yes. But if you want to wait for tomorrow or the next day, then I can take you.” A smile crept onto his face. He must have thought she’d sooner face death than ride with Tom. She had seen aborigines in Sydney and studied their history in school, but she’d never met one in person. With his dark skin and worn clothes, Tom looked different than her, poor maybe, but not dangerous. She strode from the hotel with Mr. Sloan in fast pursuit. Tom was still leaning against the hood, and she marched right up to him. “G’day,” she said. “I’m ready to leave when you are.” With that, she opened the door and climbed in. The seat was covered with a coarse wool blanket, and a diagonal crack ran the length of the windshield. Mr. Sloan loudly lectured Tom, “Show her the farm and return here without delay.” Then Sloan came to the open window at her side. For the first few miles, neither she nor Tom spoke. She reflected on the conversation with Sloan. Something felt wrong. The paper conveying ownership included confusing terms: EQUITY, ADDENDUM, and CONSIDERATION. But the view from the window soon distracted her. Firewheel trees with bright red flowers decorated the yards of homes. The first dairy farm appeared, followed by green sheep pastures interspersed with wheat fields and lush gardens. Her heart beat faster. She might soon own a farm! His grip tightened on the steering wheel, but he said nothing. She waited for a response, but then grew impatient. “Did you hear me?” she said. He rubbed the back of his neck but kept his eyes on the road. The air grew awkward in the truck’s cabin. He chewed his lip. Another smart remark came to mind, but she held her tongue. Oh. So that’s it. Prejudice. She’d read about the whites’ abhorrent treatment of blacks but had thought it was a thing of the past. She had never encountered racism personally, and her mind didn’t work that way. The truck bounced on the road. His silence stretched. Maybe Sloan had told him not to say anything. She couldn’t make him speak, but then he did. For the next hour, she peppered him with questions about the farm. She learned that Tom ran the whole operation, except for the money side of things. He hired other laborers when needed, aborigines he knew, but Sloan paid them. Tom oversaw the shearing of the sheep and the bundling and transport of wool to market, but Sloan handled the sales. Tom maintained the fencing and the buildings on the property, but Sloan paid for supplies. She figured she could learn Sloan’s part quickly; Tom did all the hard work. “So if I buy the farm, will you stay on and work for me?” she asked. He swerved around a pothole and then rubbed his eyebrow. He opened his mouth as if to speak but then closed it again. His wife and three children, ages fourteen, twelve, and five, lived with Tom on the farm. They helped with the work, too. He turned right on a packed dirt road and drove a half mile through green pastures. Then they passed through a gate and approached a two-story white house with a porch across the front. Tom told her Sloan occasionally stayed overnight at the house, but it stood vacant the rest of the time. He pointed to a cabin where he lived with his family fifty yards away. A woman stood from a garden and waved. For the next two hours, they toured the farm. It was all she’d dreamed of and more. A thousand sheep grazed the four hundred and fifty acres. Occasional pines and silky oak trees provided shade. The skies above were an unmarred azure, and dark clouds cast rain on distant hills. In addition to the sheep, the farm had two dairy cows, six goats, a couple dozen chickens, a rooster, and a friendly dog named King. Tom drove around the edges of the property and walked her through two sheds and a barn, both of which needed minimal repairs. King tagged along with them, barking occasionally, and wagging his tail whenever he came close to Sheila. On the way back to town, she learned that Mr. Sloan owned six properties in total and that he had bought and sold most of them at least twice. Tom watched the road, his jaw muscles bulging. She met Sloan again late that afternoon. When he pressed her to sign the sale document, she asked him to give her the evening to consider the purchase. He pressed his lips between his teeth, and his eyes searched hers. That last statement was a lie, but only a little lie, and it worked, for he allowed her to keep the papers. After Sloan left the hotel, she waited five minutes and then walked west on Margaret Street. She arrived at 443 Ruthven Street just in time to catch Mr. Yates before he closed his office. The next afternoon, when Mr. Sloan came into the lobby bar of the Hotel Victoria, Frank Yates was sitting next to Sheila at a table. Sloan glanced at her. She smiled. Sloan’s face grew pale, and his eyes scrunched as if in pain. “We can negotiate the price,” said Sloan. “She’d never get that at the bank,” said Sloan. After Sloan left, she couldn’t stop smiling. They ate a fancy lunch to celebrate.